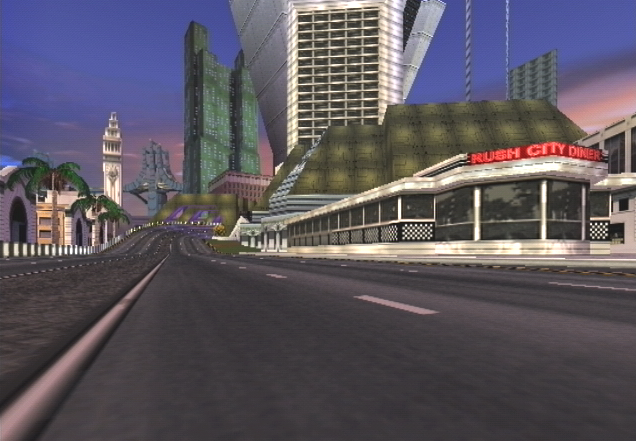 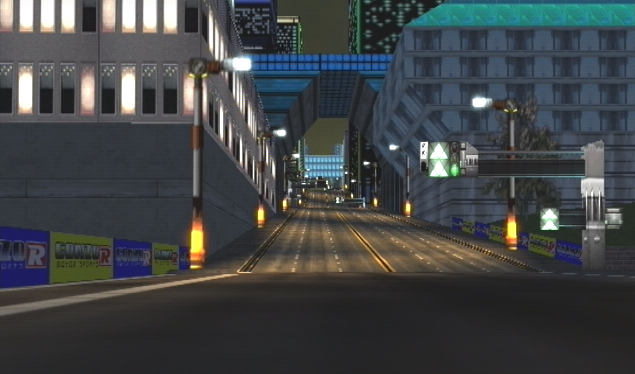 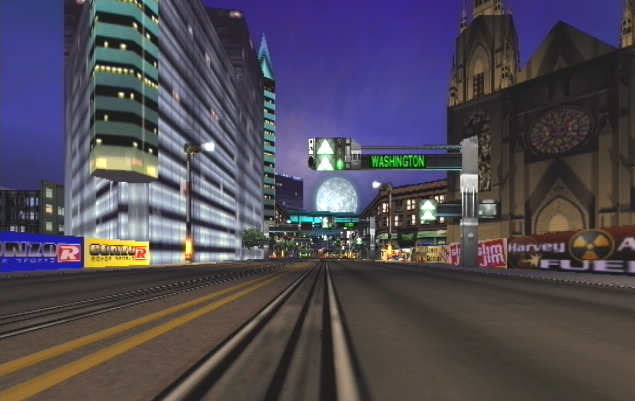 Whenever I'm asked what my favourite Dreamcast titles are, there's one game I will always mention: San Francisco Rush 2049. 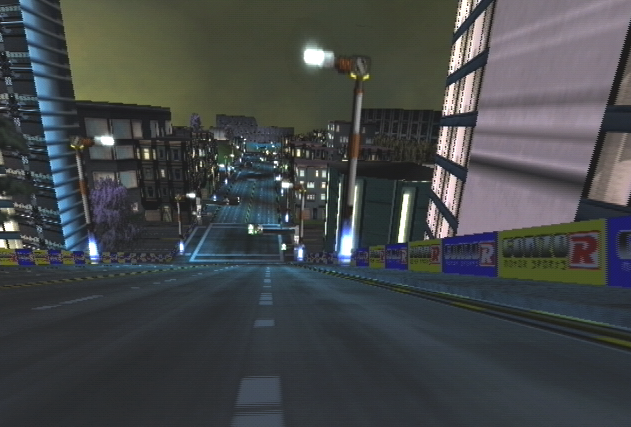 While many Dreamcast owners will quickly (and correctly) cite titles such Metropolis Street Racer, Le Mans 24hrs and Hydro Thunder as the cream of the crop when it comes to racers on Sega's final console, Rush 2049 will always come near the top of my list. 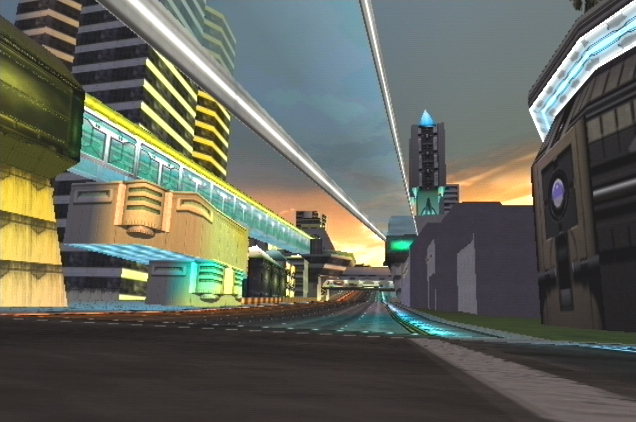 I can't even accurately explain why, there's just something about the janky handling and erratic physics that really endeared not only 2049 but the entire Rush franchise to me. 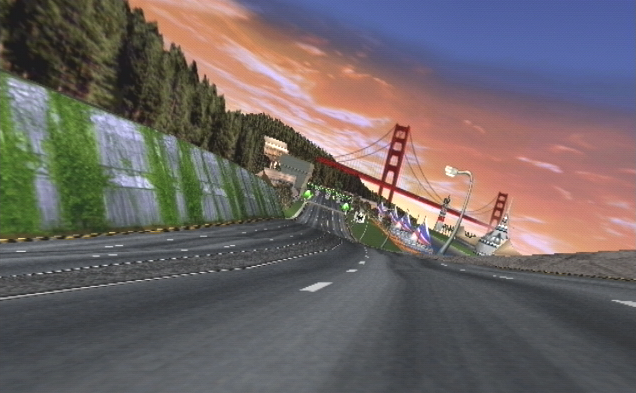 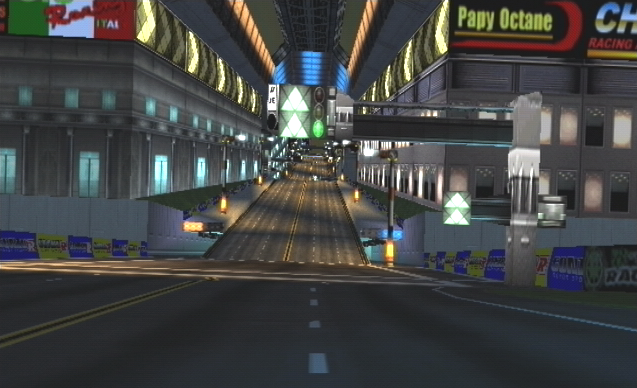 Indeed, ever since I played the original console port of San Francisco Rush on the N64 I've been a fan of the series and while there are far, far better games out there I just can't get enough of Midway's arcade racer. When it comes to Rush 2049 though, I think there's something strangely beautiful about the near-future world the developers created for us to race through. 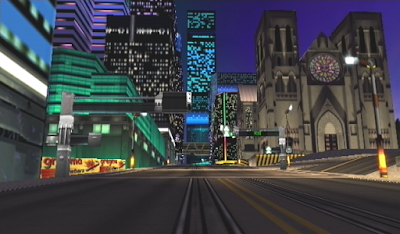 The neon soaked straight aways and tranquil civic gardens of the San Francisco of 2049 prove to be a perfect backdrop through which rocket-propelled high performance vehicles can jostle for superiority; the futuristic jungle of suspended walkways and towering skyscrapers lay in wait while high speed trains and passenger-less trams traverse the sterile streets of a commuter-less metropolis. 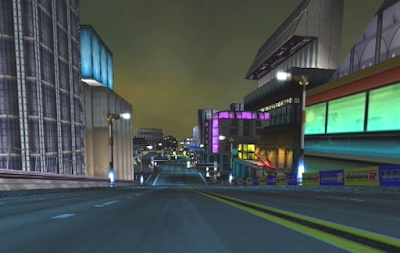 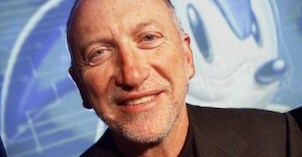 It's actually quite eery when you think about Rush 2049's vision of the future. 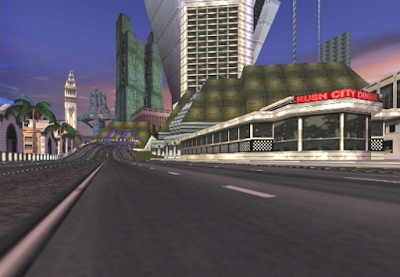 However, it's also quite a beautiful vision and with this post I wanted to showcase just how varied and impressive San Francisco Rush's environments truly are. 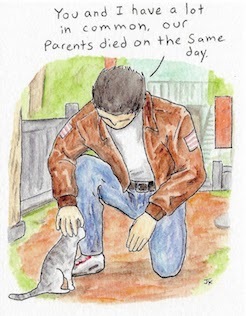 Click the gallery images below for larger versions. 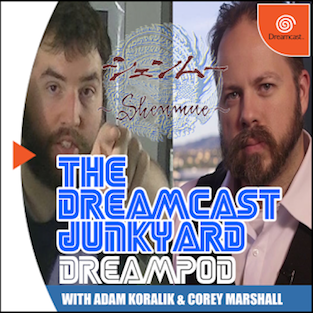 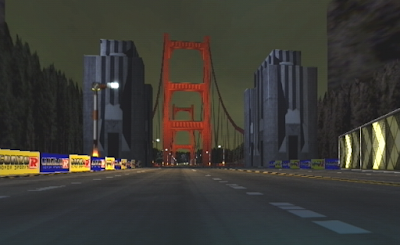 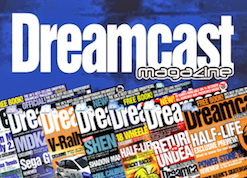 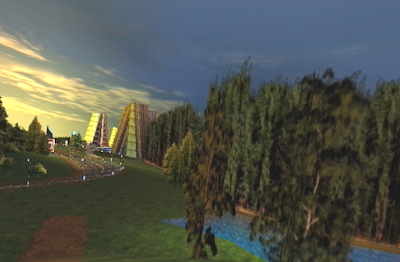 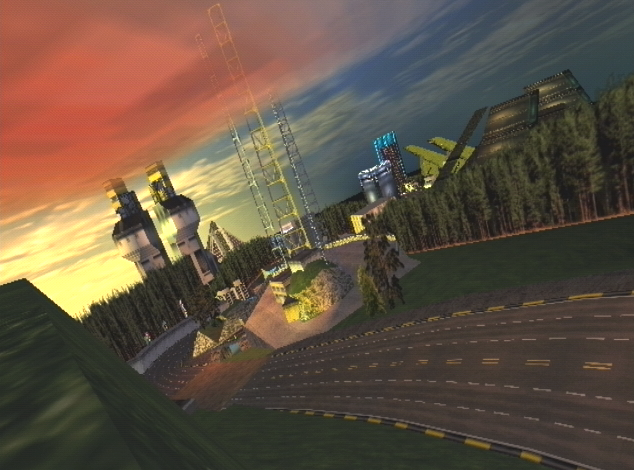 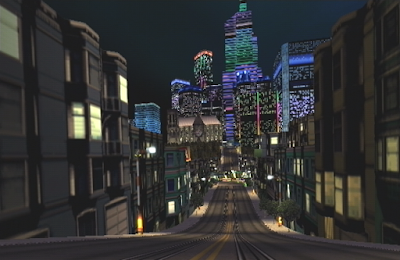 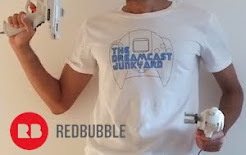 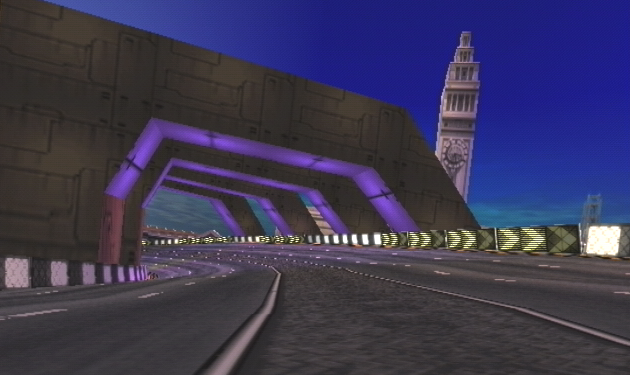 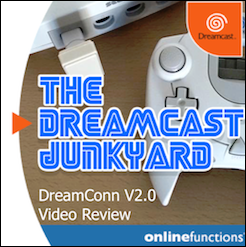 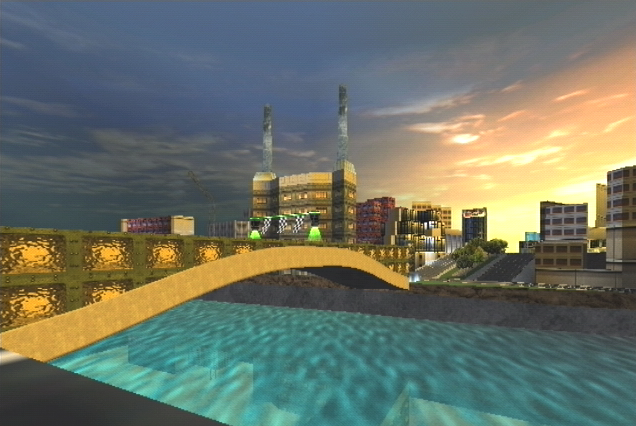 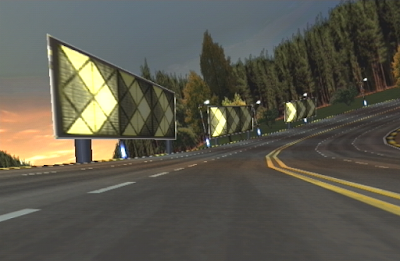 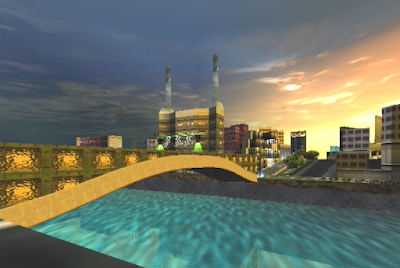 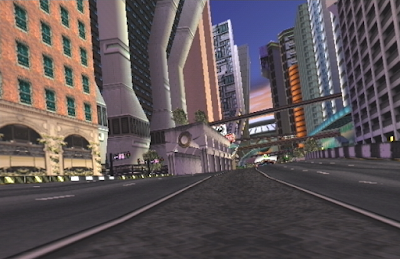 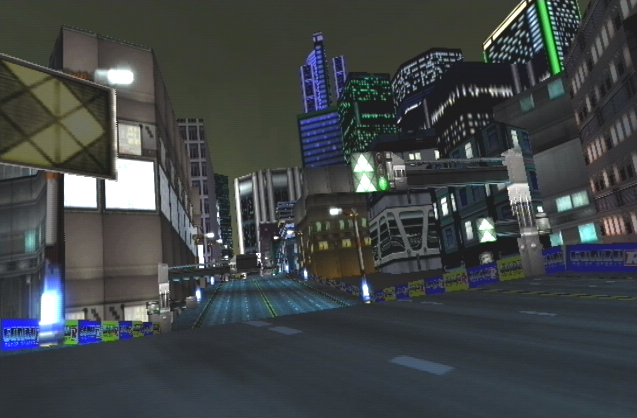 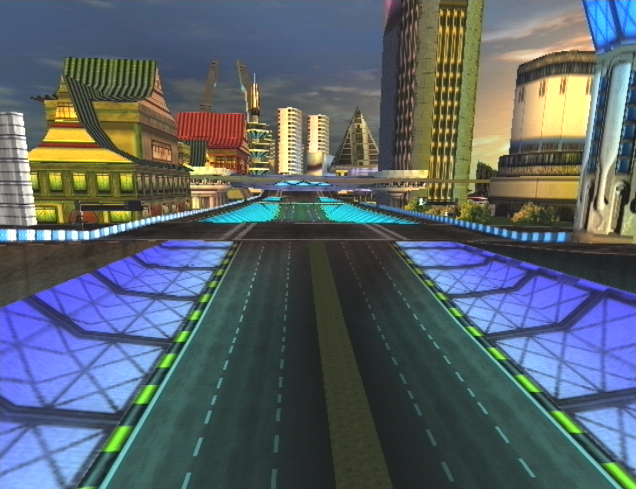 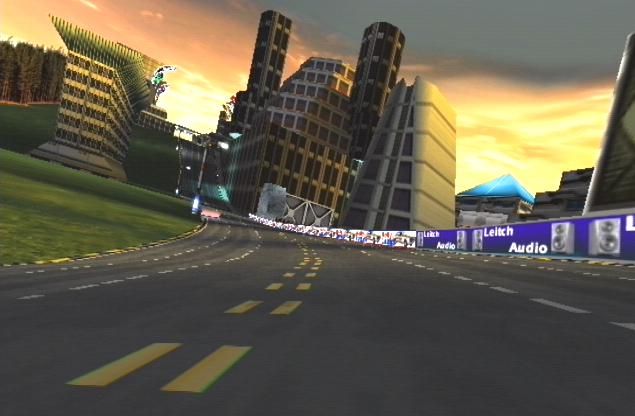 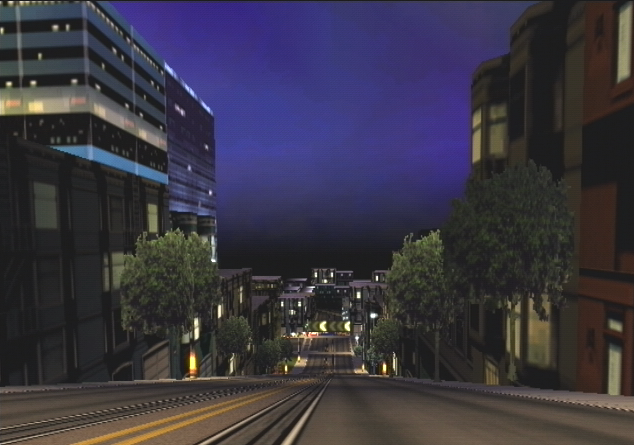 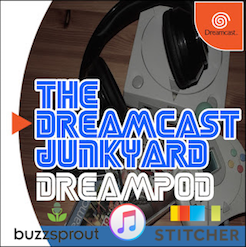 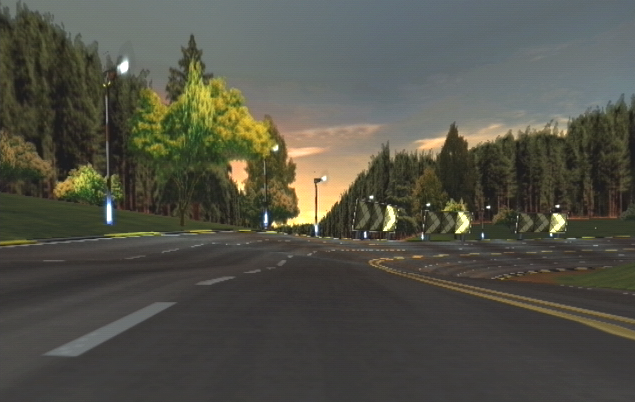 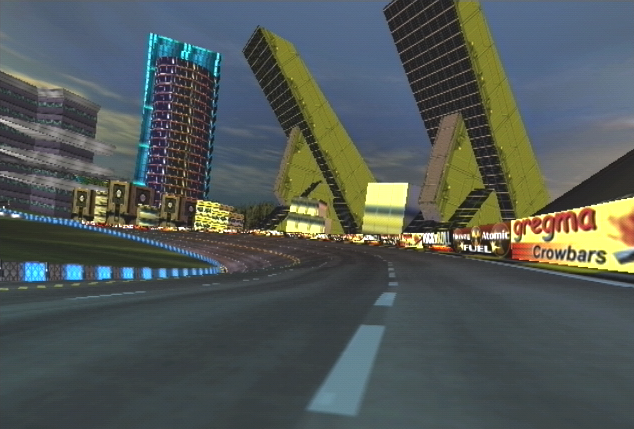 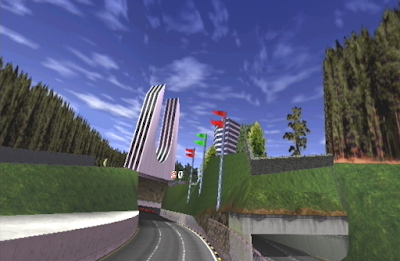 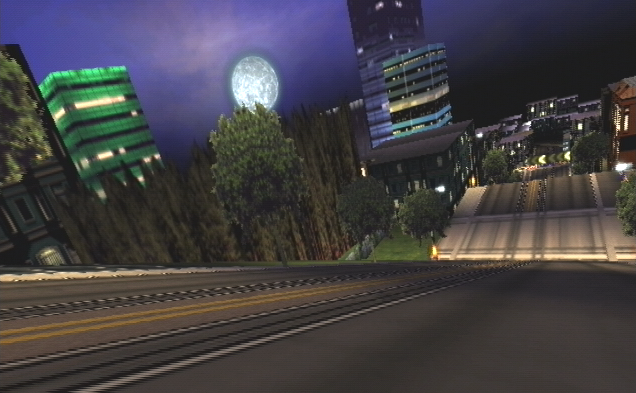 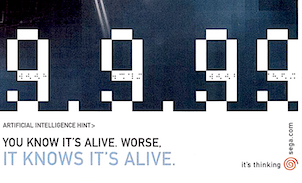 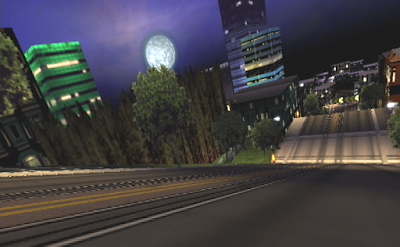 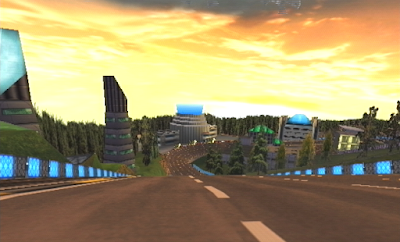 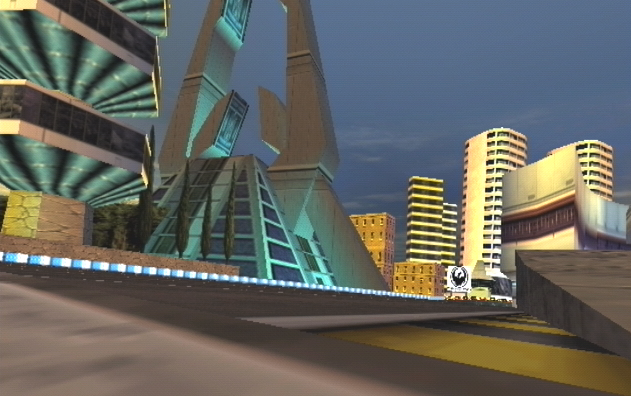 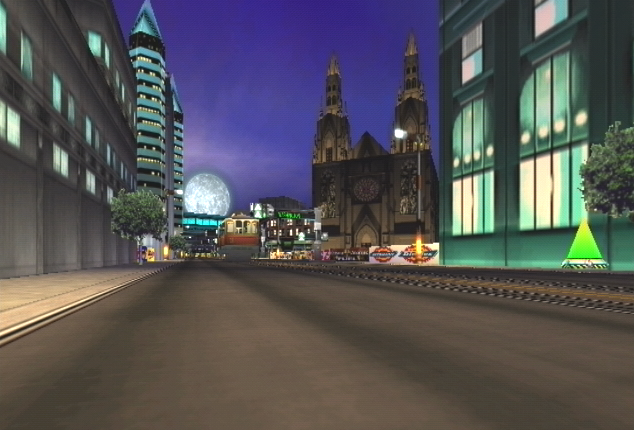 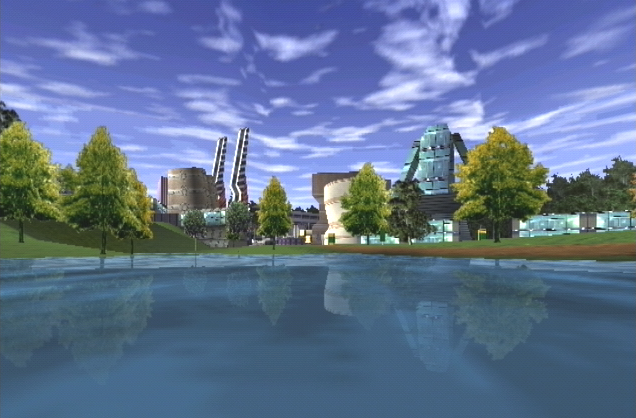 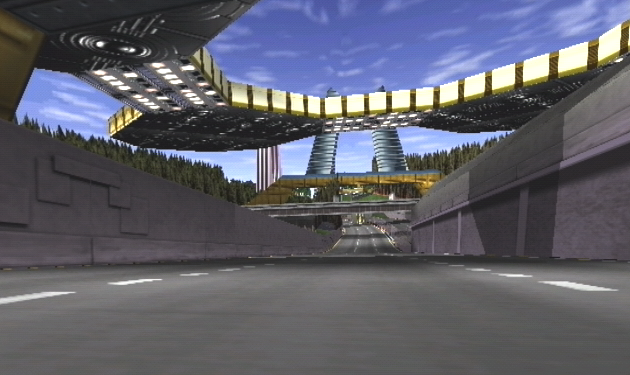 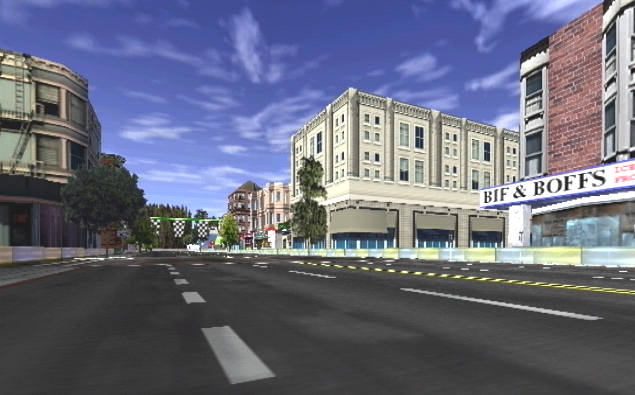 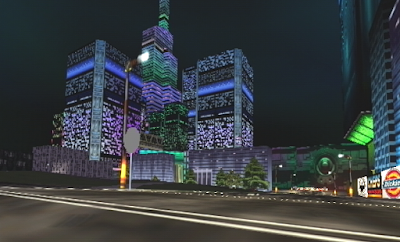 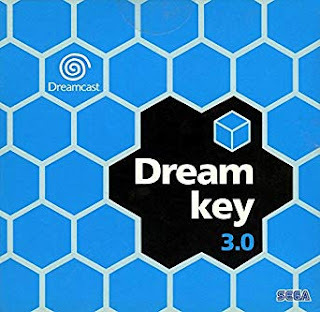 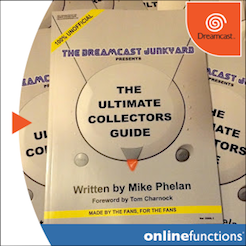 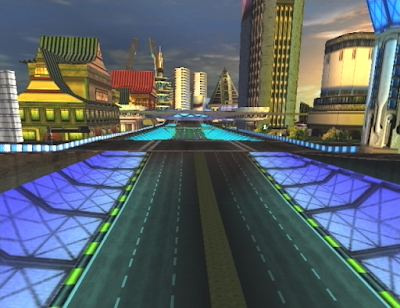 All images are taken in-game from the internal view using a Dreamcast and an s-video capture device so apologies that they're not VGA quality. 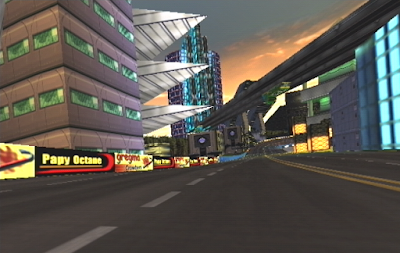 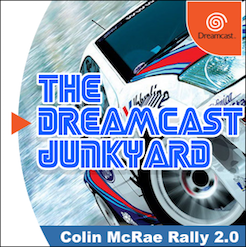 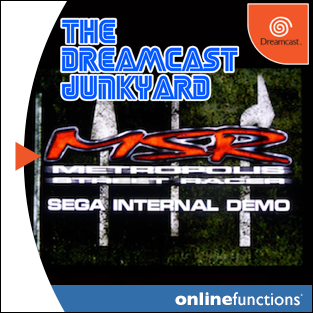 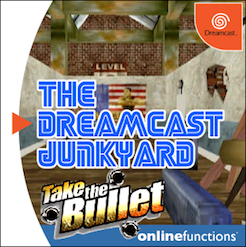 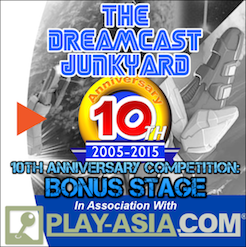 One of my favorite arcade racers on the Dreamcast. 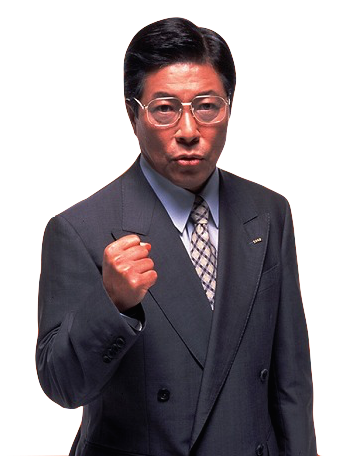 I really wish we would have had Outrun 2006 or some of the Cruisn games as well.